many American's will be applying for the Energy Efficiency Tax credit for 2010. a portion of this tax credit addresses home sealing, and you may be using caulks, sealants, and insulating foam products for these projects. while the correct product selection and application of these insulating products can improve a building's energy efficiency by contributing to a complete building envelope, there has not yet been clarification or interpretation from the Internal Revenue Service as to whether these products can be used as part of the tax credit. for more information regarding DAP and the tax credit, please see the below PDF. 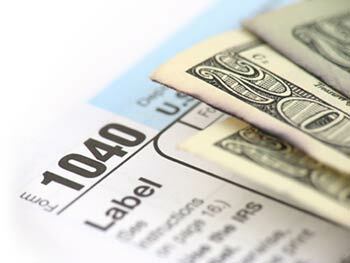 tax credits lower the amount you owe, dollar-for-dollar, when filing your taxes. for example, if you owe $2,000 and qualify for the $1,500 tax credit, your total owed amount is $500. non-refundable tax credits will reduce the amount you owe, up to $0, but will not result in a refund. for example, if you owe $1,000 and you qualify for the $1,500 tax credit, you do not get a $500 refund, your balance is just $0 owed. refundable tax credits will reduce the amount you owe beyond $0 and can result in a refund. for example, if you owe $1,000 and you qualify for the $1,500 tax credit, you would receive the residual $500 in the form of a refund. note that the Home Energy Efficiency Tax Credit is a non-refundable tax credit. for more information, consult with your accredited tax professional.